I am a sucker for body washes. I love love loooooove using body washes. So every opportunity I get to try a new body wash - I grab it! A few days ago, I received two bottles of #LuxSoftTouch and I tried it ASAP. I even asked my Panget to try it. Hahaha! And he did! Sorry, too much information! Immediately after toweling dry, my skin felt softer, soft to the touch. Exactly like what the product promises. You have until May 28, 2016 to make an entry. Lux will select twenty (20) winners. Vaseline is a brand that I TRUST. It is the ONLY petroleum jelly brand that I buy and use. 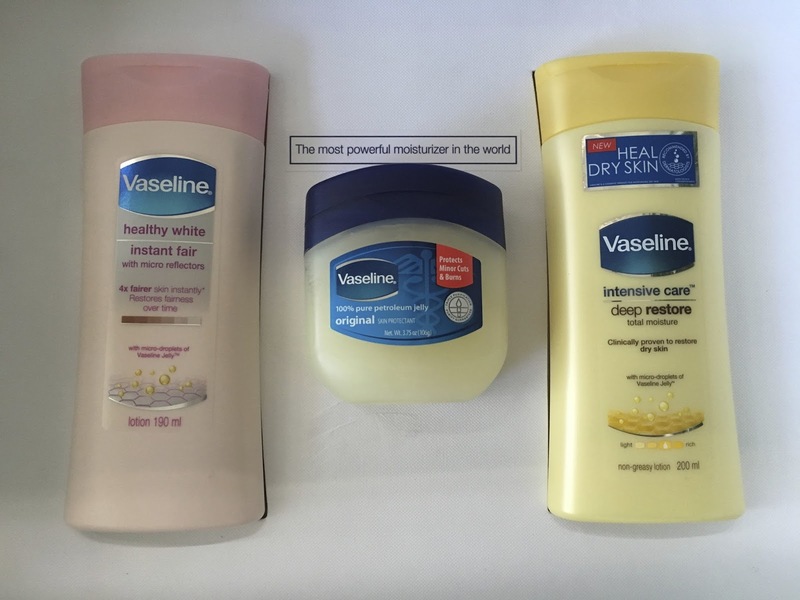 So when I learned that there was a lotion line from Vaseline, I was elated and excited. When I received this package, I immediately grabbed (after taking this image) and tried the Vaseline Intensive Care Deep Restore lotion. I was that excited!! I tested it first on my hands. It didn't have the heavy greasy feel (when you touch your arm) but you know that there's lotion on your hands. You know what I mean? It was great! So that night, after my bath - I excitedly put Vaseline lotion on my arms and legs. I feel that the Vaseline Petroleum Jelly lotion has somehow breathed new life to my skin. And it's liberating not be scratching every so often! I stand by the hashtag #HealWithVaseline as it really did! I even brought 1 bottle to the office to use! Considering that I dislike lotions (friend and family swear by my dislike!) It's THAT effective on my skin and I'm sooooo loving it! Vaseline did a test on leaves - look at what Petroleum Jelly does to leaves. What more can it do for our skin! I swear by Vaseline Petroleum Jelly. My kids swear by it too! And when you have a lotion combined with Vaseline Petroleum Jelly , well that's just down right - FANTASTIC. I'm so happy that the product is available in the market. I hope you get to try and see the benefits of the Vaseline Petroleum Jelly lotion. Late 2014 when talks started to go about regarding the presidential elections. I felt for #MarRoxas. I knew that he wanted to become President but I secretly thought that he wouldn't win. I felt that he lacked charisma and the appeal of a President-iable. I knew he was going to be the standard bearer by the administration but I felt sorry for him because in my mind - he wouldn't stand a chance against the one I will not mention. I was aware of his track record. I knew he wasn't corrupt. I knew he was a leader. He knew what sacrifice meant and I admired him to high heavens for stepping down and lifting up PNoy to lead our country. But there was just something in him that wasn't winnable. Maybe because he didn't have the usual underdog story that we all look for. Early last year, we took the opportunity to go out of the country when the Pope visited the Philippines. Many complained on the no work schedule. Traffic was an issue because there were roads that were closed. But you know what - while catching on TV what happened - there was one thing that I so very admired. It was the logistics of the whole event. The very organized barricade on the roads - the peace and order. It didn't seem like the usual Metro Manila when the Pope visited. When I got home, I immediately asked my mom if she knew who arranged the logistics, the road closures and the road barricades. She too was clueless! For days we wondered who was in charge because we wanted to give that person credit. A few days after, we learned that it was all #MarRoxas. I'm sure his name came out in the papers. But there was no issue/big deal on it whatsoever. Not everyone in the public knew he was behind the logistics. There was no buzz on what he has done during the Pope's visit. This gesture made me think twice - I guess he's not the trapo type who would gloat in his achievements and boast them for people to remember. He just did his job and that was it. No one came out to congratulate him openly. Yes, the President did but there wasn't much talk about it after. No traction. Maybe it was kept that way. I don't know. There were two candidates that I was really choosing between. One had a very clean slate, I felt the sincerity. While the other I thought about because that candidate was banking on DRASTIC change, change that will do the country good. But slowly these two people would involve themselves with personalities that I can only shake my head in description. I realized that these two people were not fit to lead the country. Their decisions and allies have made me question their intention and potential leadership. Thinking about it, made me realize - there was only ONE person who I would put my trust into SOLIDLY - and that was #MarRoxas. Yes, he's not the most popular. He's not the charismatic leader that we all yearn for. He's a bit pikon at times. But you know what - HE CAN LEAD. I was part of the #SilentMajority - I really was. I didn't want to divulge who I was voting for, I wanted to keep it to myself. I didn't want to have to defend my choice - I didn't want argue and lose friendships just because of who I was planning to vote. But as of last night - I am no longer part of the #SilentMajority. 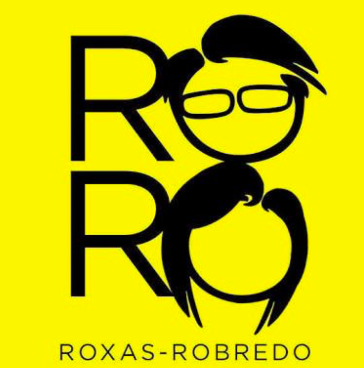 I am broadcasting via my blog that I am giving my FULL support to #MarRoxas and #LeniRobredo this coming elections. Some may question my decision and I'm sure I'll get bashed - but one thing I can say is that - I want CHANGE and I can only see the *right* changes with these two people. I know they will WORK their asses off to make this country great again. To be honest - 6 years is a short short time to feel the changes, but a change to the right direction is what we all need. I have long decided to vote for #MarRoxas ever since he accepted the challenge to run for president. What sealed the deal for me much more was when he picked #LeniRobredo as his running mate. #LeniRobredo is as clean as anyone can get. One thing I really really admire with her is that despite her being the wife of a cabinet member - she has remained humble and down to earth. They have maintained a simple lifestyle. Sec. Jessie Robredo would take the bus every weekend to go home to Bicol to be with his family. She remained in Naga looking after the girls. The Robredo family knows the word SACRIFICE all too well. They have given themselves to public service and have not asked anything in return. That for me is the truest form of selflessness - BAYAN BAGO ANG SARILI. When Sec. Jessie passed away, she was forced into the limelight. She has said time and again that she had no plans of running for office. But when she saw the need to, she heeded the call of the people. When buzz started that she is being wooed by #MarRoxas - I thought to myself, she was the perfect running mate. She doesn't have ambition to be come more than what she is. She's humble and down to earth. She still takes the bus when she goes back to Naga. She commutes, she falls in line - she's a NORMAL person. She's us. She's someone we all want to become - she's something we can all admire and look up to. And so far, she has been doing a wonderful job leading by example. We need these two people to lead us to greatness. I know that we cannot place all our hope in them, but they're a good start in showing us what sacrifice is and what we can do to make this country great again. Yes, change should start from us - but we need to be inspired to change. So I am doing just that - I want change, and it starts from me. From my decision who to vote for this coming elections. Change comes when we ourselves want change. We can't just keep blaming the government for every bad thing we experience, I feel that's what Filipinos do that all the time. Point fingers and blame people other than ourselves. We say we want change yet we don't follow rules, we yearn for loopholes and the easy way out. We rarely take responsibility for our actions. I think, it's high time that we do out part. Oh and another thing. If you didn't register to vote - PLEASE JUST BE QUIET. I mean you didn't even put the effort to register yet you have an opinion? Stop feeling entitled to give an opinion on something that won't even matter to you. The world has enough problems. SO PLEASE - JUST BE SILENT. Please. Well, hello there - BELO Baby!! To be honest, I was surprised to find out that Belo now has a line for babies - Belo Baby. But then again, when I thought about it - I felt it was high time that they made one. I personally love the Belo Sun Block (I use it regularly during sunny outing activities!) and I have to say, I'm very proud of this brand because it's proudly Pinoy! Let me lay this out first - I'm sure you've read here on this blog that my kids have Skin Asthma. I'm very particular with the kinds of products I use on my kids. Our pedia derma has advised us to find a product that goes well with the kids' skin condition and stick with it. Unfortunately the products that helps their skin condition is not readily available in the market. Well for one - we use an imported competing brand, and it's not available just anywhere. I would hoard when I see it in the supermarket, but for the past months - well, it has been out of stock. Since it's out of stock - my kids are forced to use another brand that irritates their skin ever so slightly. To remedy it, we just use lotion every so often. Lotion is another thing - as we have tried different brands and we've settled with an imported brand. It goes on and on and to be very honest, it's quite taxing because you see your kids and how they're suffering and you want to help ease their condition but you are powerless to do so. I LOVE THE PACKAGING of #BeloBaby! I love the matte feel of the lotion tube and the box of the soap. Hahaha!! I looked really silly because I was touching it endlessly, turning it over and looking at it. I was honestly enjoying the feel of the lotion tube on my hands. Another thing that I liked very much is that there is a date stamp of the product's expiration. It will greatly help users know if the product can still be used or needs to be thrown out. Next is the scent. I really dislike those heavy scented products but I also don't like the unscented ones. Hahaha!! I get confused on the unscented because they have scents too and indescribable ones at that! These #BeloBaby lotion, soap and hair and body wash have a nice smell that is not overpowering. So on to the test! The label says it all - 100% Certified Natural ingredients. It's very nice that they've made sure to choose meticulously what ingredients they put in the product. It says a LOT about their genuine love and care for the end users of #BeloBaby. But you know what - I told myself, I needed to try these products on my kids to see if what they claim is true. I mean, the product is crafted with care for the most delicate skin, for the most meticulous moms - I feel is this is the truest of test. So, game on! 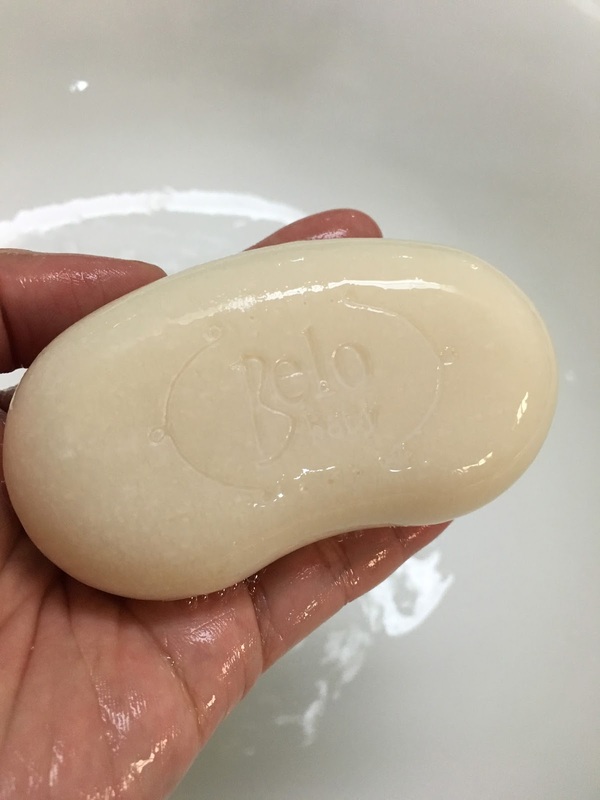 So last Tuesday evening - I made sure to bathe the kids using the #BeloBaby products. Kailee and Connor were quite excited because they're naturally curious on products that I use on them. They asked me questions on why I was using a new product on them. So I tried my best to explain in a way that they can understand - that some products have chemicals on them that might make their skin itch and give them rashes. And they knew very well how that felt - and so when I told them that these new products of #BeloBaby can help care for their skin because it's all natural - they became more excited for bath time. Connor has a more sensitive skin, so I decided to use the Hair and Body wash on him since it's liquid. I loved the fact that there is one product that we can use for the hair and body. No need to switch products anymore, and less mess! It honestly made bath time faster. Washing his hair and body wasn't such a task anymore - I can just pump and then lather it on to his hair and body. Another good thing was that it wasn't hard to wash off. It smelled really nice too! Kailee was next, and I used the #BeloBaby bar soap on her body and the Hair and Body Wash on her hair. I like that the soap is a bean shape, makes it easy to hold and lather in the hands. After their baths, I used the #BeloBaby Face and Body lotion on them. Well, that's our usual regiment. After bath, while their skin is still a bit damp, we put lotion on them. The scent as I said wasn't overpowering and they didn't mind it. Some lotions are too fragrant and causes my kids to keep sneezing. I was honestly skeptical on using it on their faces - but since the product claims to be *All Natural* and I trusted the brand, well - I went on ahead and put some on their faces. I want to be honest - I was quite nervous on the after effects of their bath and after I put lotion on them. Usually within minutes the kids will be scratching like crazy or redness and rashes will appear. I observed them after 10 minutes, 30 minutes, an hour and during bedtime. No one was scratching or getting red rashes on their faces. I did a huge sigh of relief - NO IRRITATION WHATSOEVER on the first use. I was so relieved! Hahaha!! I then decided to use it for a few more days to see the effects of the products. 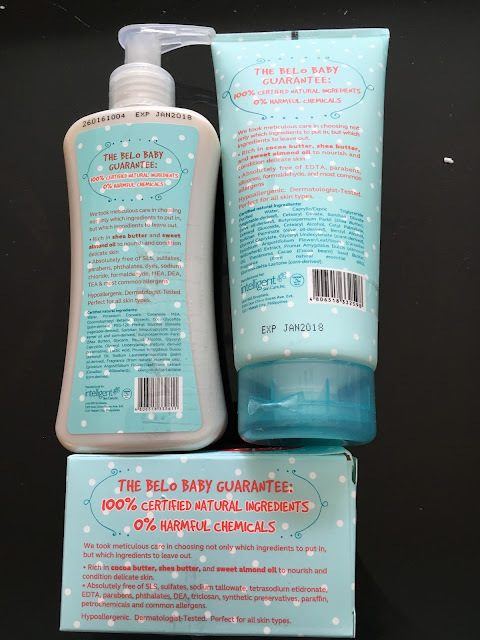 It's been 4 days since we first used it and I'm very happy (and proud) to report that my kids have NOT experienced any kind of irritation on their skin since testing the *All Natural* #BeloBaby products. We've used it twice everyday - and so far, so good! Okay, more than good - because their skin has become softer! Hahaha.. So very happy and excited with the #BeloBaby products. Now I don't need to look far and wide for products to care for my kids' sensitive skin. We now have them readily available in leading supermarkets, groceries and department stores. You don't know how happy I am to have found these products. It's a great help - I mean a really great help for us moms (with kids who have skin asthma). Thank you Belo - for crafting products for the little ones. They need your love and care too when it comes to their skin. PAW Patrol's Meet & Greet at SM Mall of Asia on April 29 & 30! 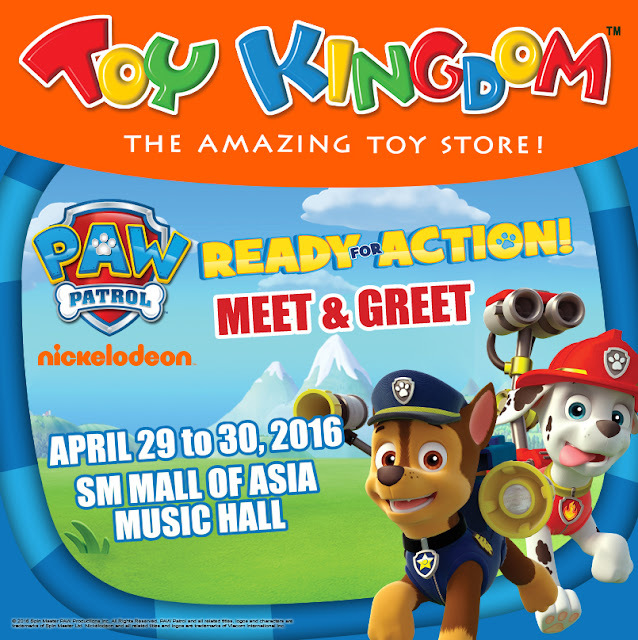 Calling all fans of Nickelodeon's PAW Patrol! 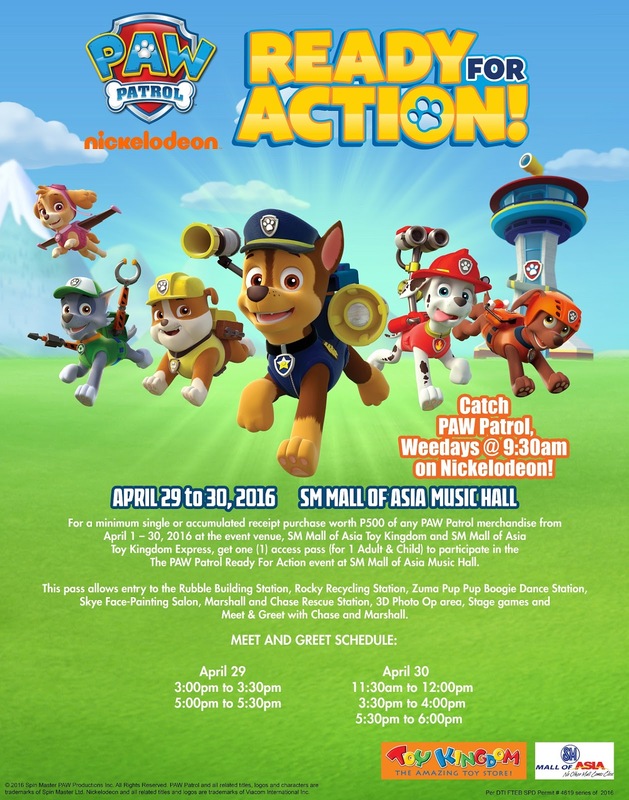 For a minimum single of accumulated receipt purchase worth P500.00 of ANY Paw Patrol merchandise from April 1-30 at the event venue, SM MOA Toy Kingdom and SM MOA Toy Kingdom Express, you'll get ONE (1) ACCESS PASS (1Adult & 1Child) to join in the PAW Patrol Ready for Action event at the SM Mall of Asia Music Hall! I am FED UP and I am POWERLESS to do anything but just follow-up every weekday for any update on my concern. Last March 23 while we were out of the country, we noticed that our CCTV app wouldn't load. We wondered why but then thought, maybe there was an interruption on the signal. The next day, it still wasn't up. The next days were the same. So when we finally came home, I looked at the modem and it didn't have power. I got another adaptor to plug into the modem to check - and it still wasn't turning on. I assumed that the modem was busted. I tried to plug it back in it's original adaptor but still - no power. Since I was dead tired from the trip, I waited the next day to report to Bayantel. I officially made the report last March 27, 2016. The hotline I called was 412-1212 and I was told that I'd get feedback and or the modem will be replaced within 24 to 48 hours. 24 hours passed and no news. I called 412-1212 and I heard a new message that starting April 1, 2016 - calls will be forwarded to Globe. I didn't make sense to me, and since the 48 hour window hasn't lapsed, I didn't mind it. So finally when the 48 hour window lapsed, I called again to report. They told me to *wait* again since they were a bit busy. I'm sure the technical services are sub-cons, (there might be multiple sub-cons). I called everyday since then - to follow up. I called 412-1212 and then on April 1 when I tried to dial 412-1212 nothing was happening. So I called 730-1000. I got to speak to an agent who was very helpful. She told me that she made was a schedule of April 2 from 1-5PM. No one came on April 2. I then thought to myself, maybe they'll come on April 3. But, no one came. So the Monday after - April 4, I called the Globe Hotline to report. They just told me that they will escalate the concern. I still called to follow up on april 5, 6 and 7. And on April 8, Friday - I was given feedback that there was a schedule on Sunday - April 10 at 1-5PM. I was instructed to make sure to be at the site or leave word that there will be a modem replacement. We all waited. No one came. So I called last Monday - April 11. The only thing the agent said was *I will escalate the concern kung bakit di po kayo napuntahan last April 10*. I called yesterday and was given the same statement. As of yesterday - I have been given eight (8) reference numbers. I honestly don't know which of them to give anymore. My complaint has NOT been resolved so I'm wondering - with all these open cases (with reference numbers to boot) how can they keep giving me new ones? I don't see the logic why. So in conclusion - since reporting on March 27. We have heard nothing from Bayantel or Globe Telecom. They both have my contact numbers and I have been repeatedly told to *Keep Your Line OPEN* for updates. And I have received NONE. I have been very patient calling in EVERY (week) DAY to follow-up and all I get are *I will escalate this to the technical team*. I don't get why the cases have been closed if they're not yet resolved. STUPID. No internet since March 23 - that's a total of 22 days as of present. No feedback since reporting on March 27 - that's a total of 17 days as of present. Do I need to wait a month or year to be served?? To make me feel better one of the agents told me that I can request for an adjustment when the is resolved. Darling, the adjustment should be AUTOMATIC, I don't even need to request for it as I have been patiently reporting every single day. It didn't make me feel better, instead I got more upset and angry because I feel that it will still be a long loooong time before my cases gets closed. Smoky Cheeseburger & French Fries Dip from McDonalds! 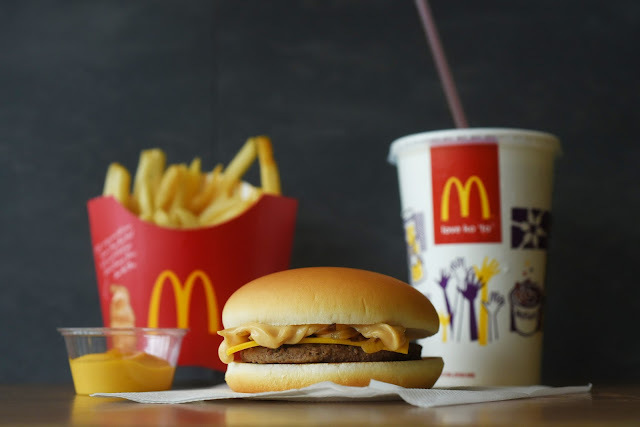 Savor your favorite Cheeseburger made of 100% pure beef patty and American style cheese now topped with sweet caramelized onions and a special smoky sauce. If you think the World Famous Fries couldn’t get any better, try the new Fries Dip in lightly-spiced Nacho Cheese or sweet Honey Mustard flavors. These new merienda items not only satisfy your midday cravings but also help make long hours bearable. You can have them at work while finishing a task, inside a car while waiting for the traffic to ease, or at any McDonald’s store nationwide while having a merienda break with friends. You can also have them through Drive-Thru or McDelivery via 86-2-36, www.mcdelivery.com.ph, or the McDo PH app. The new Smoky Cheeseburger and Fries Dip are available in all McDonald’s stores nationwide. Can’t get enough of the new McDonald’s merienda items? Share your photos enjoying them on Facebook, facebook.com/McDo.ph or tag @McDo_PH on Twitter or Instagram.